Druh zařízení:Střihová karta; Typ rozhraní:PCI-E; TV tuner:Bez TV tuneru; Další parametry:Nahrávání z ext. Zdrojů. The DarkCrystal HD Capture CD530 (CD530) is a raw data capture card for capturing various video formats from DVI, VGA and HDMI interfaces. Through its PCIe Gen2 x1 interface, the CD530 enables high data throughput at up to 1920 x 1200 60fps, while simultaneously previewing video content without latency. Capture and convert raw data from an HDMI®, DVI or VGA video source through a PCI Express (Gen 2 x1) slot. The CD530 enables high data throughput at up to 1920 x 1200 60fps while previewing video without latency issues. High signal adaptation allows for complete customization of captured resolution under 1920 x 1200 through the AVerMedia resolution adjustment tool. The CD530 is functional simplicity realized. Connect a signal cable to the port, and the automatic adaptive detection initiates a video connection quickly and easily. In order to acquire video from any unique resolution, AVerMedia introduces software solution Resolution Adjustment Tool, which can dynamic generate resolution table to fit any video output sources such as the medical machines, support from 640x480 to 1920x1200@60p maximum. The tool allows the users to capture hundreds of different resolutions as they needs. 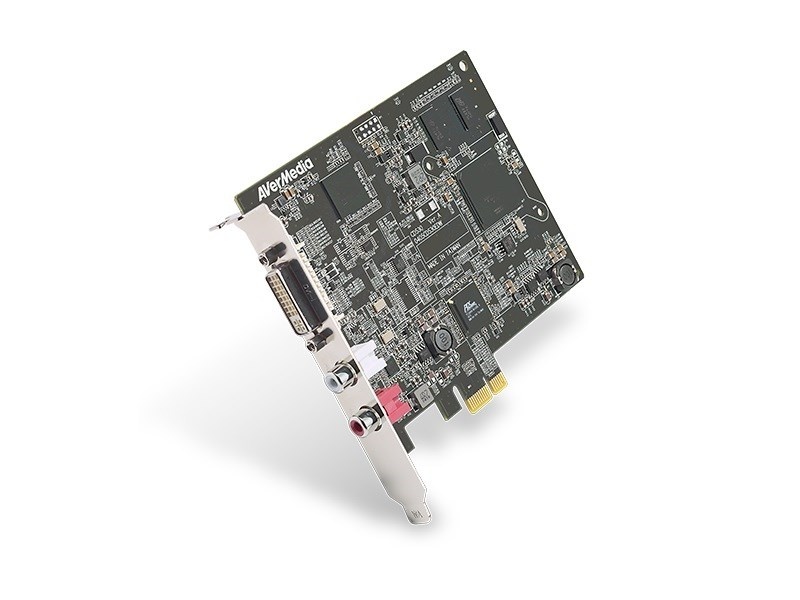 The CD530 is a professional level PCI Express frame grabber that enables you to view and store real-time megapixel images from any source in a computing platform. Image capturing, video recording, processing and previewing are easily achieved with the AVerMedia Capture Studio software package. Developing applications through the CD530 is made far easier with the powerful AVerMedia software development kit (SDK), which boasts a wide range of comprehensive features for developer implementation. AVerMedia SDK, a complimentary resource, fully supports all AVerMedia hardware. Operating Environment Temperature: 0 to +65 ?